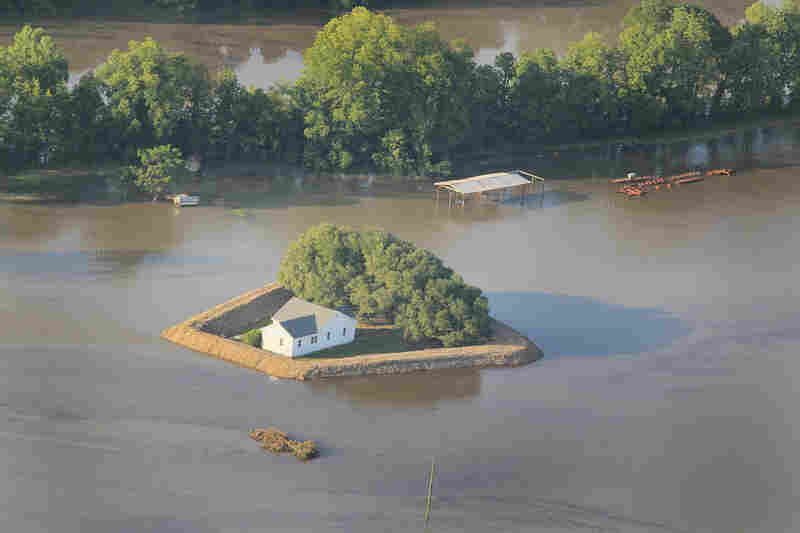 Come High Water, Homemade Levees May Save The Day : The Picture Show The flooding Mississippi River has crested lower than expected in Vicksburg, Miss., but the Army Corps of Engineers warns it will be days before the surging waters recede. 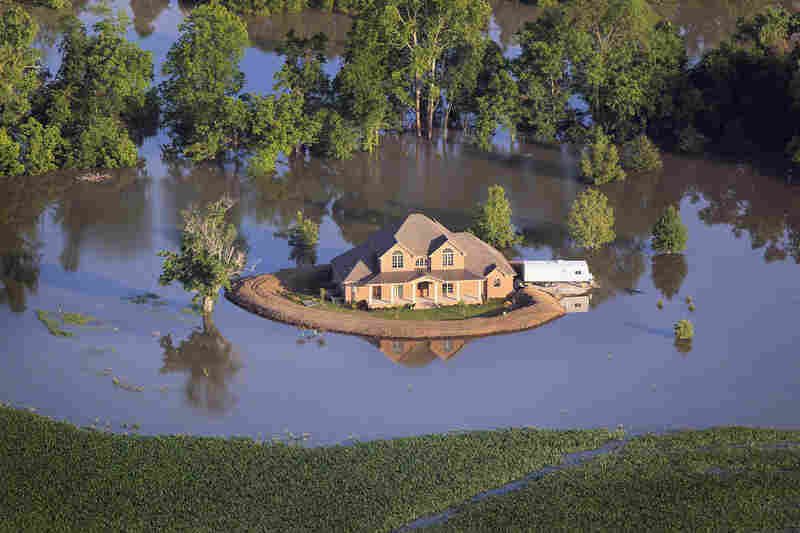 Before evacuating the area, however, some Mississippi residents took matters into their own hands. 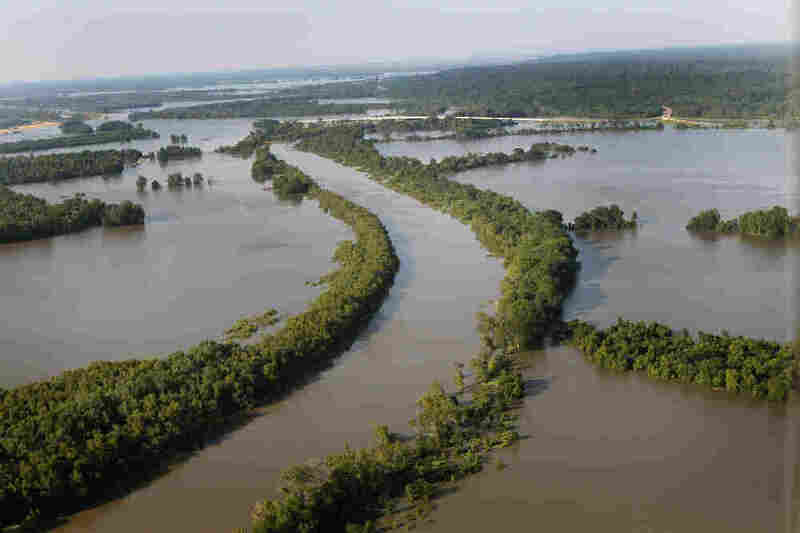 According to our news blog, the flooding Mississippi River has crested lower than expected in Vicksburg, Miss., but the Army Corps of Engineers warns it will be days before the surging waters recede, The Associated Press reports. 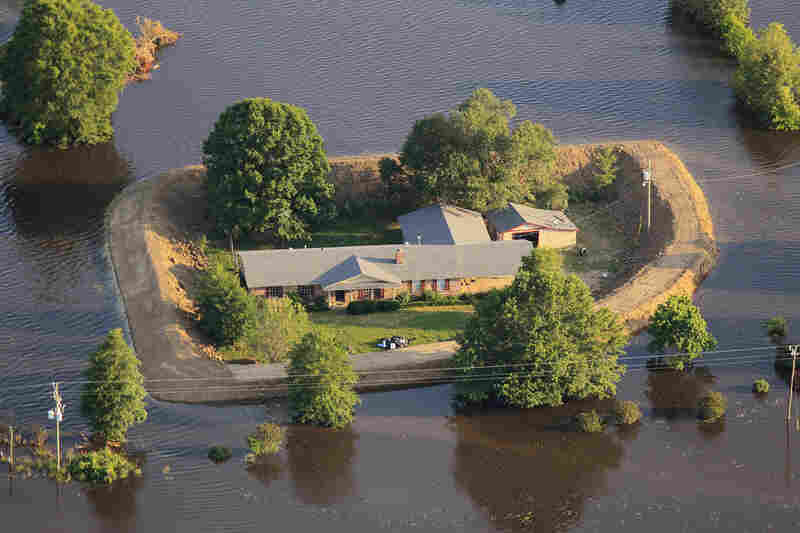 The city had been preparing for days for the floodwaters to arrive; and before evacuating the area, some residents and farmers took matters into their own hands and built personal levees to protect their homes from floodwaters. 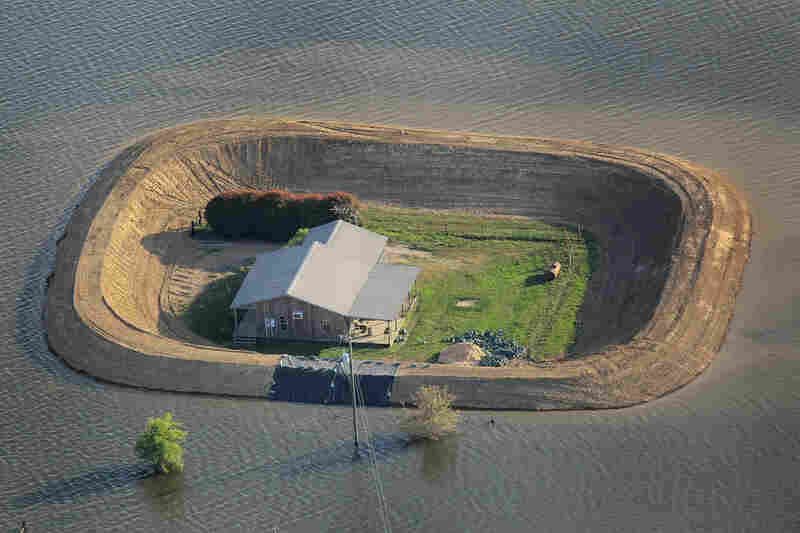 Some of the levees rise as high as the roof, if not higher. 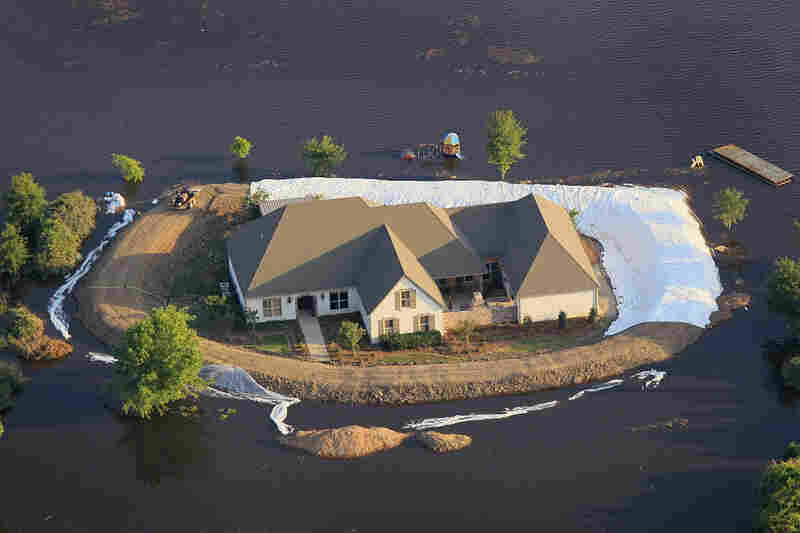 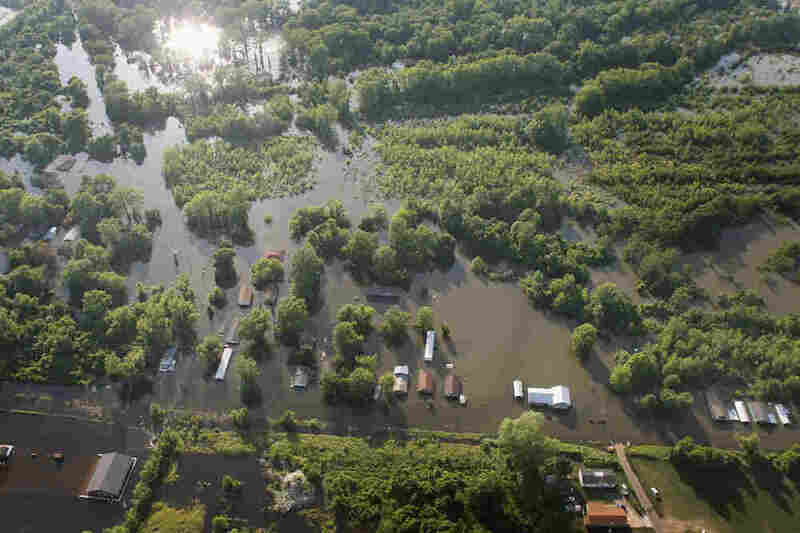 Photos show levees surrounding homes in Vicksburg, Miss., May 18, 2011. 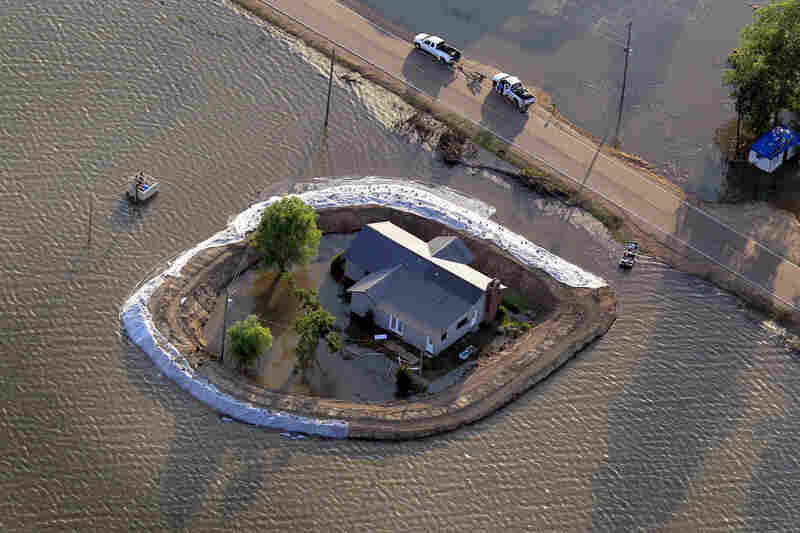 These photos, taken by Getty photographer Scott Olson, were filed Wednesday. 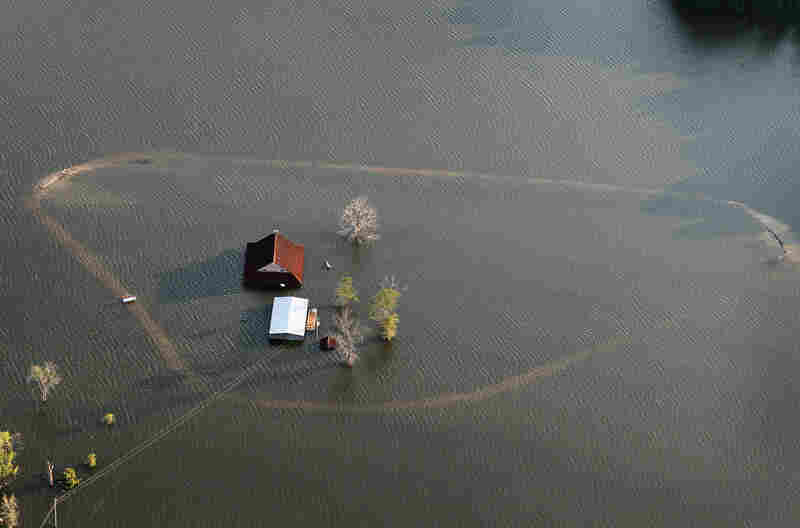 As of Thursday, some of the houses remained safe, though others had already been flooded. 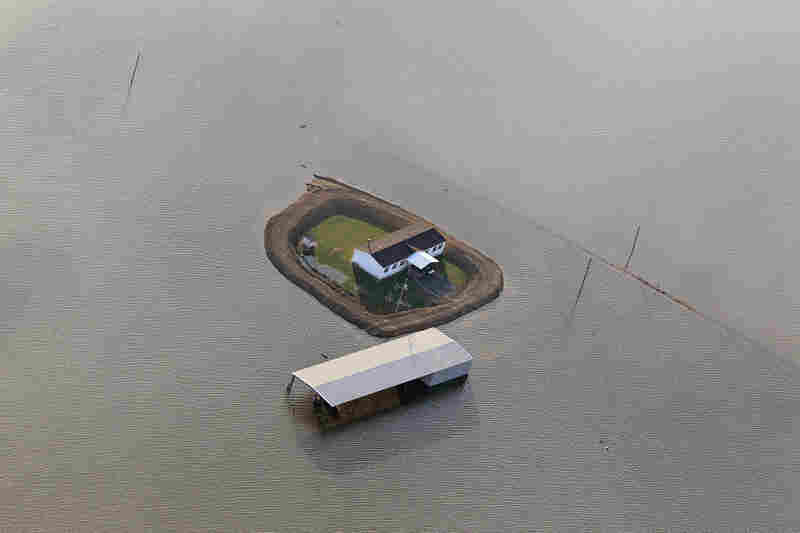 There are few photos from this area from today; time will gauge the success of these last-ditch efforts.